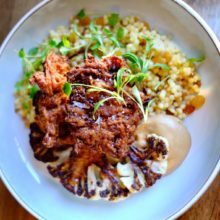 I was going to say that 2017 started with a bang, but it was more of a sedate start to the year with an indulgent and leisurely lunch in the North Yorkshire countryside at The Black Swan. 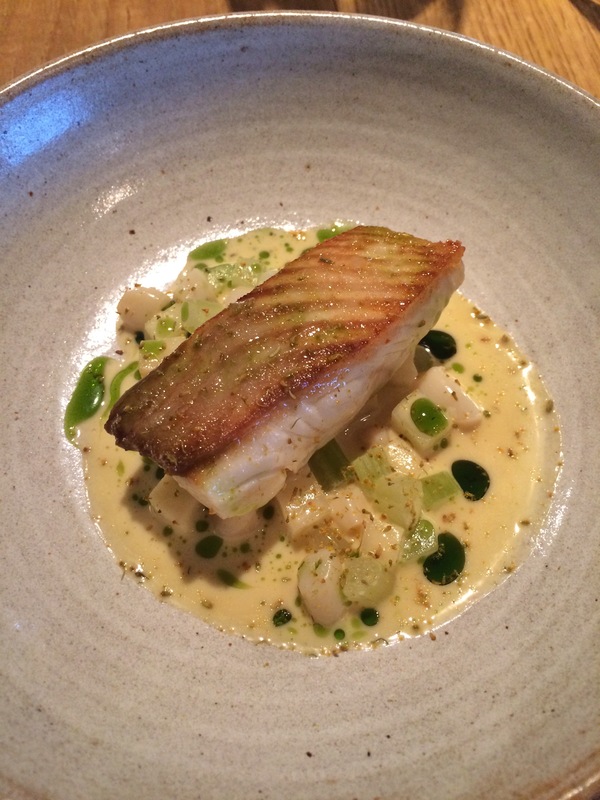 A highlight dish for me was the halibut with celeriac and celery. The hidden surprises of razor clam and fennel pollen are what made this a particular food memory of 2017. 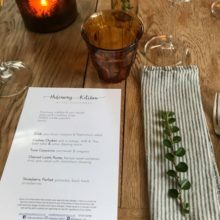 Using bloggers licence though I’d also like to sneak in the ‘snack’ of the chicken dumpling made from brioche filled with confit chicken accompanied by roasted garlic mayonnaise and grated chestnut. I’m actually drooling just typing that. Boy was it good. 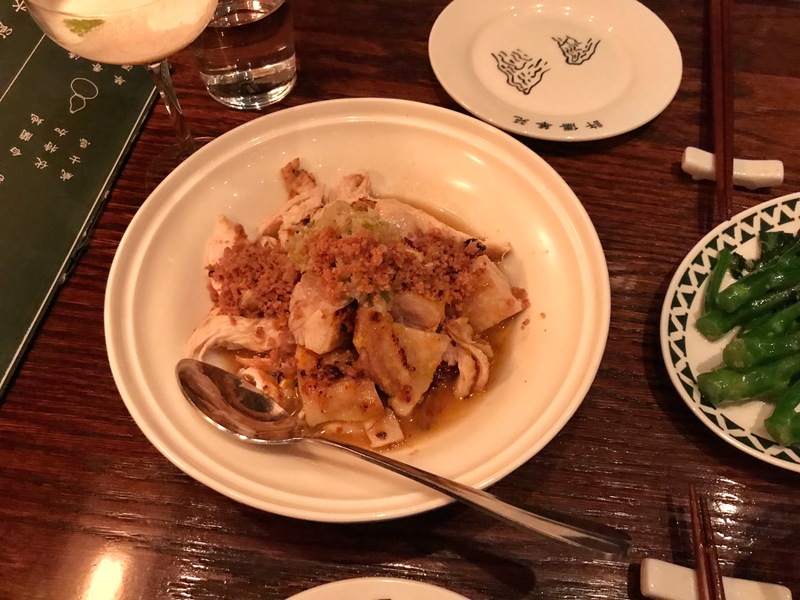 The next highlight dish of the year requires some more blogger’s licence as it was actually a collection of dishes. 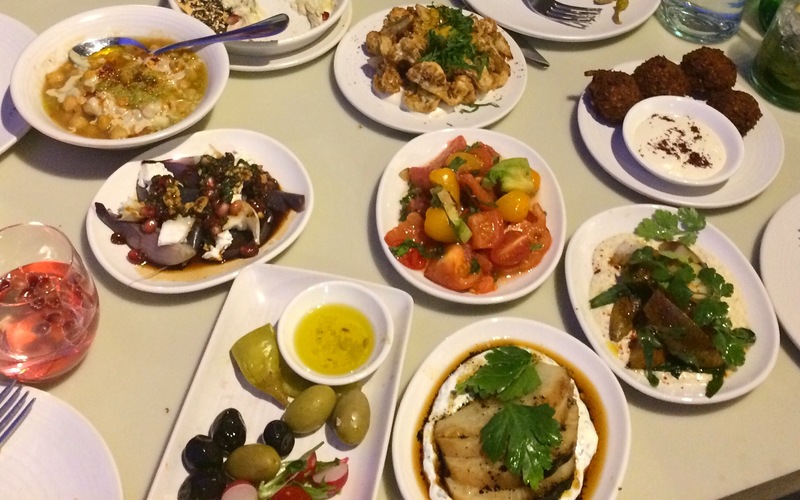 A mezze in fact, from Honey and Smoke. 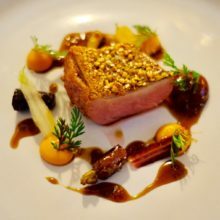 A particular highlight of this year was our evening at Aulis, the development kitchen of Fera at Claridges. A 40th birthday treat for Mr F and an unforgettable evening. 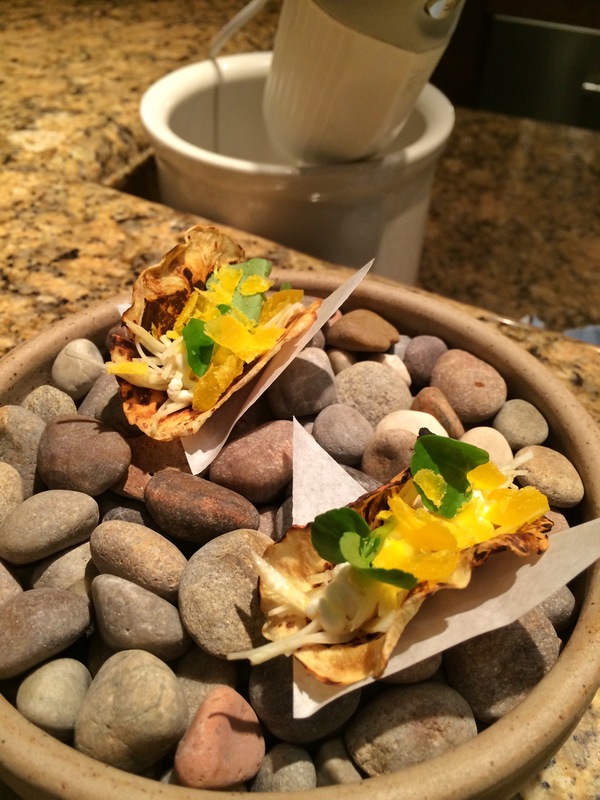 I still think about the celeriac, cured yolk and creme fraiche taco we had that evening. The flavour and textures were extraordinary for such a small dish. 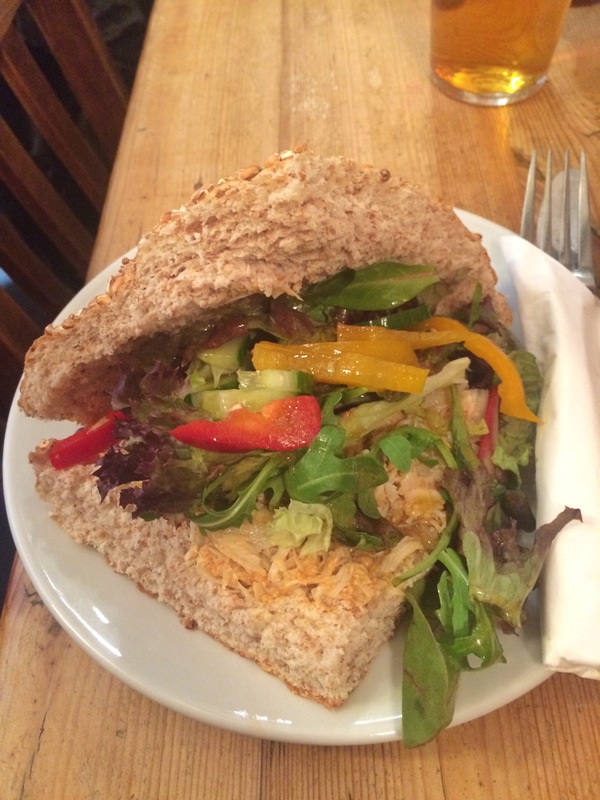 As you’ve probably noticed I am a particular fan of Skosh in York. 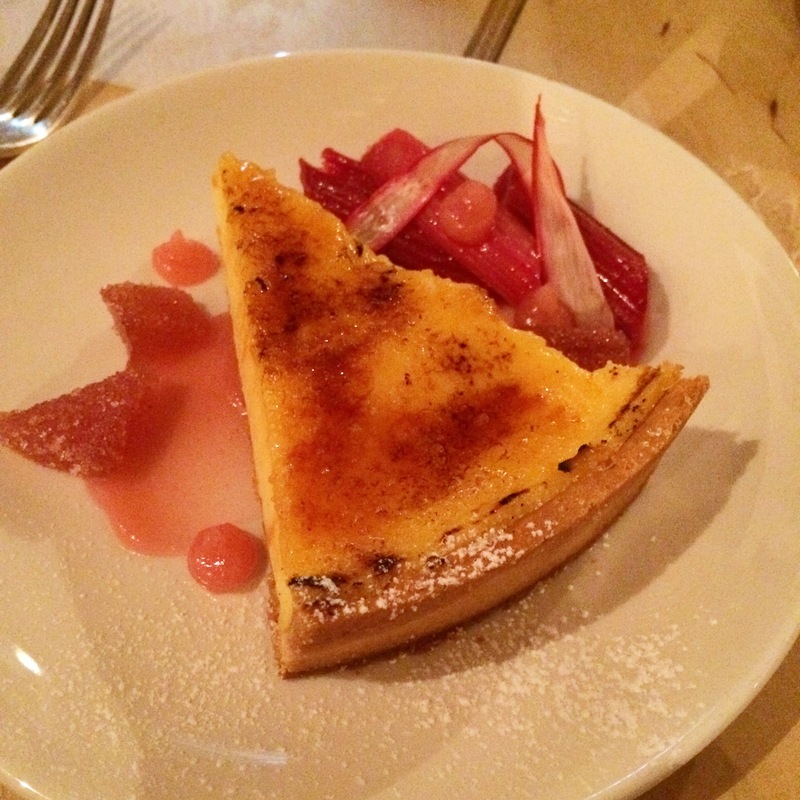 Neil Bentinck, chef patron, can do no wrong in my eyes. 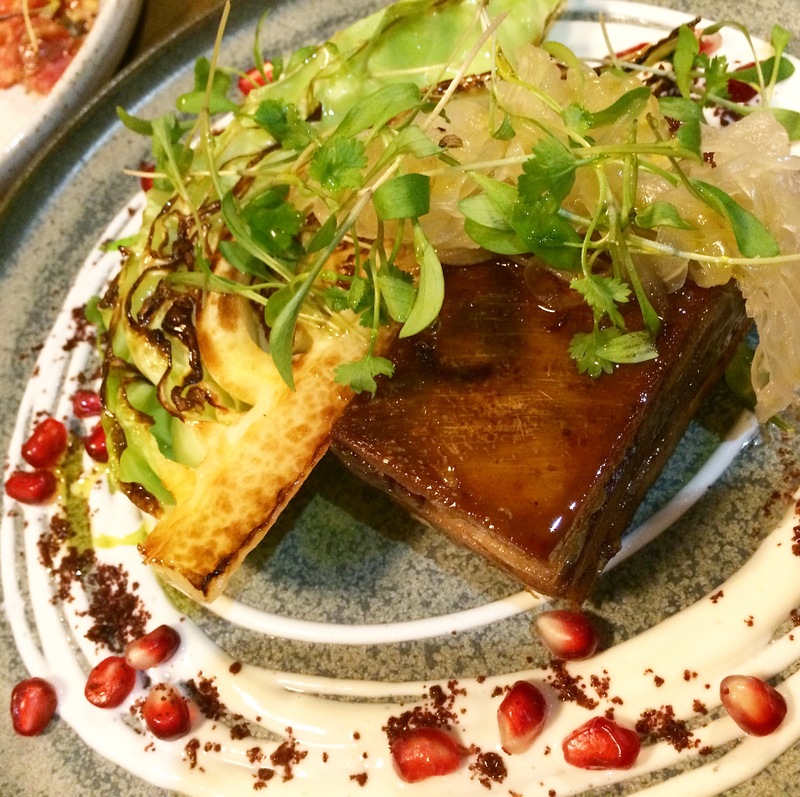 I’ve never had a dish that has disappointed so it is often hard to choose what I like most but this year the crisp lamb belly with charred hispi, sumac yoghurt, pickled onion and pomegranate was a highlight. 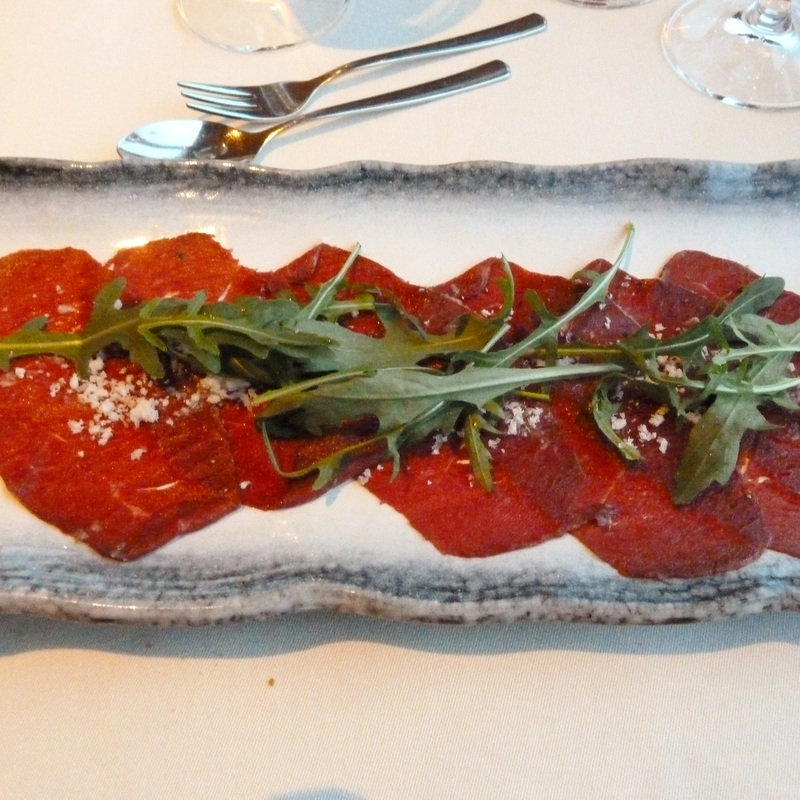 A little different from the rest is the reindeer carpaccio with parmesan and truffle oil we had at Hotel Ranga in Iceland. 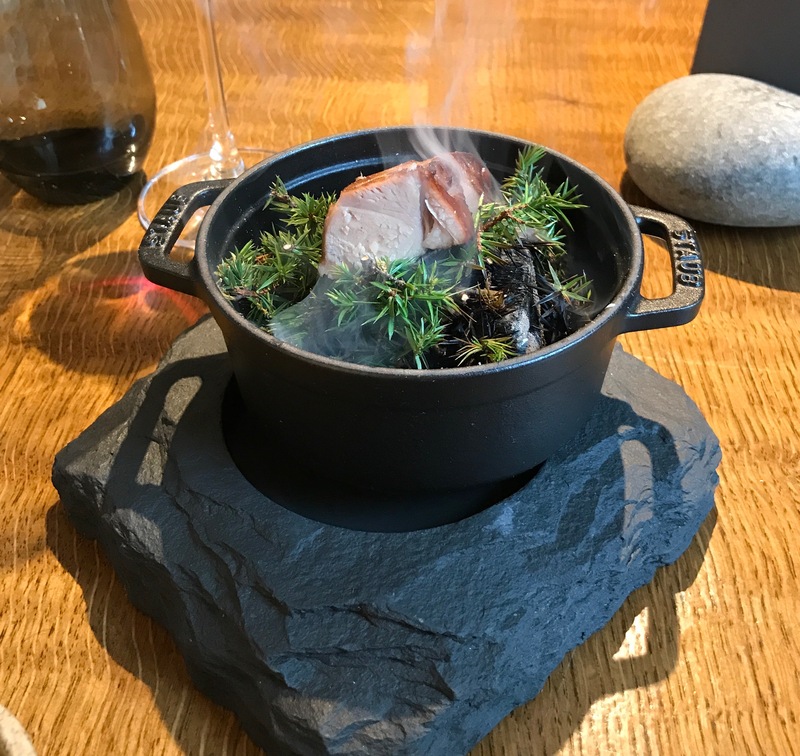 We didn’t go to Iceland for the food but the quality of the food and the use of local ingredients at the hotel was a great surprise. The carpaccio was a favourite on the trip. 2017 would not be complete without a dish at another of my favourite places to eat, Le Cochon Aveugle. 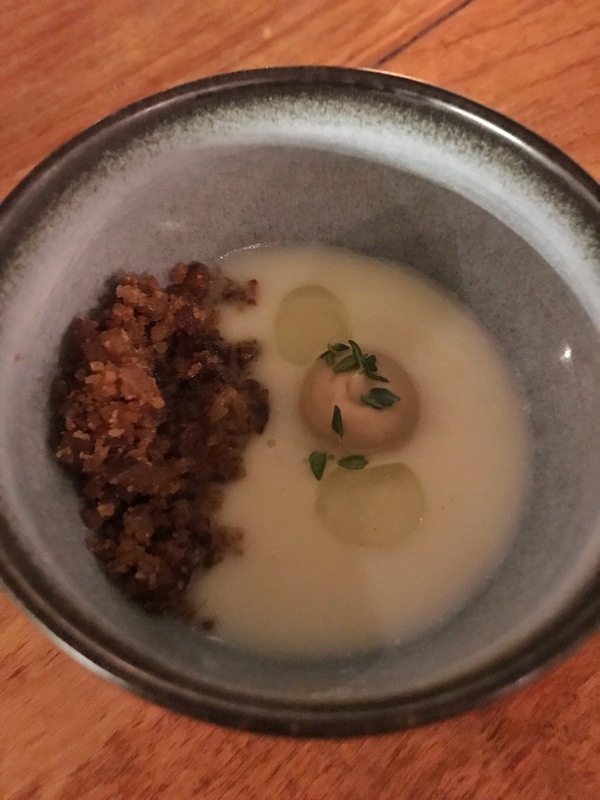 The baked custard with Sauternes and bitter caramel we had on my birthday was the perfect dessert. 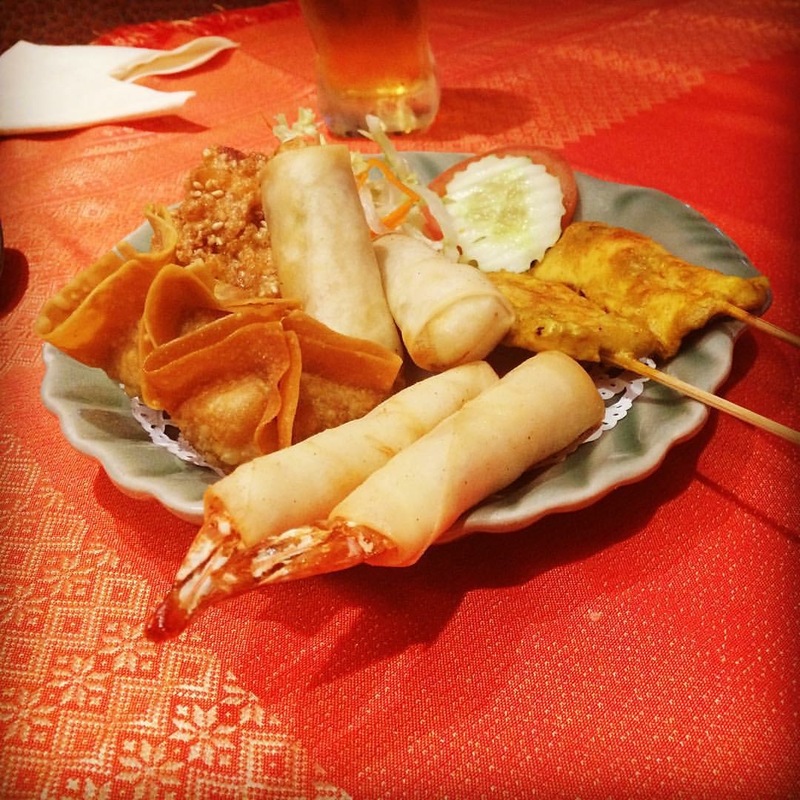 I love seafood. 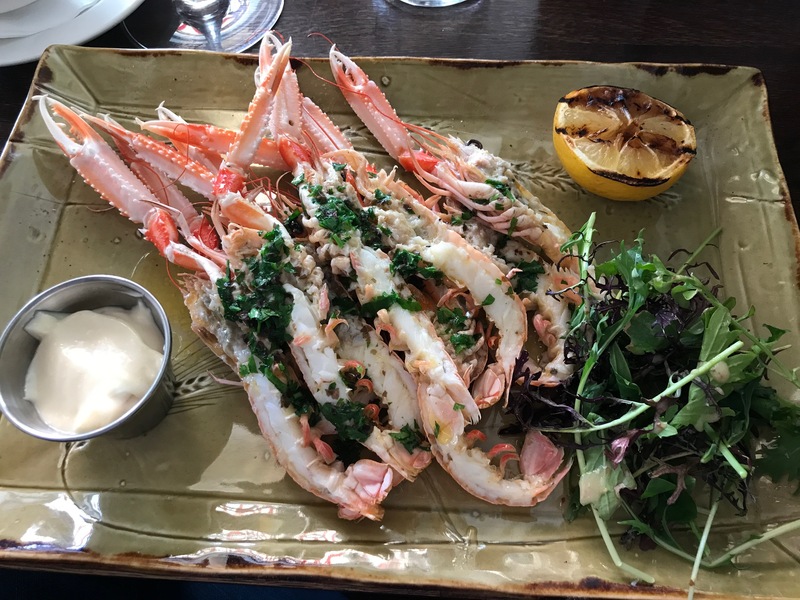 In particular you cannot beat fresh local langoustines. On a visit back home for a family wedding we finally got to The Bull and Ram and having seen Xanthia Clay tweet the day before that she had had langoustines I got rather excited. I was briefly disappointed when they were not on the menu but the wonderful team at Bull and Ram russelled some up for me when I asked. Now that’s service! They were delicious. 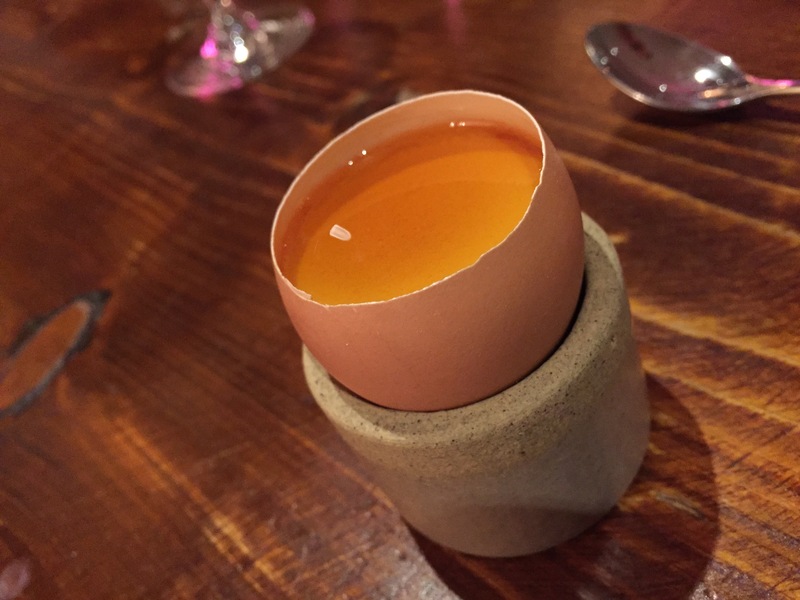 Another part of Mr F’s 40th celebrations was a return to L’Enclume. We had not been in five years and I always worry that a return trip to somewhere you have such wonderful memories of can be a mistake but not here. It was incredible and the Herdwick lamb on charcoal and juniper was an absolute stunner. Gilpin Spice was a fantastic discovery this year. 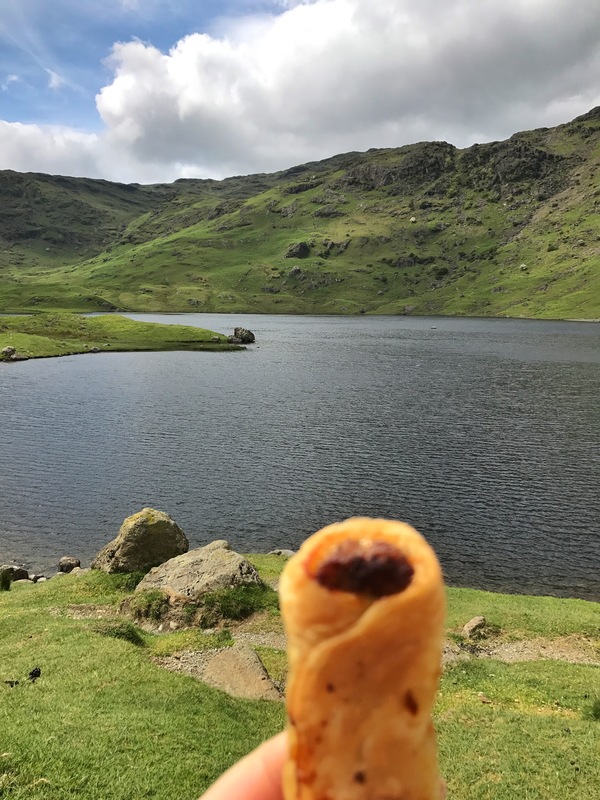 There is nothing else quite like it and it is a great addition to the Lake District. The pork belly dish in particular was sensational and watching it being cooked on the spit roast added to the joy. We went to the Pig and Whistle not long after it opened and had a great evening. I thrilled to see that it got a mention in the Sunday Times today. 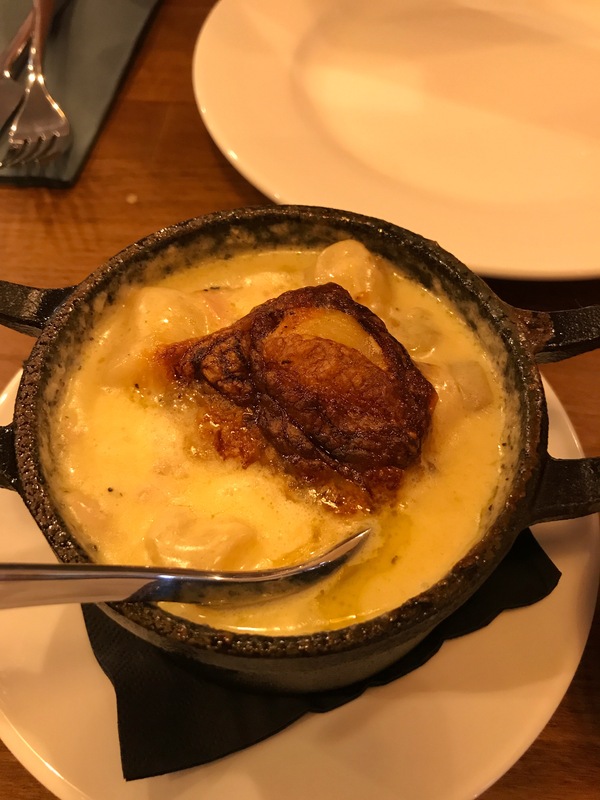 The tartiflette au rebouchon was one of my favourites of this year. Melted cheese is always going to feature highlight to be fair but Mr F woke up the next morning and it was the first thing he talked to me about. Memorable. Sitting on the beach with friends eating the Mackerel wrap from Riley’s Fish Shack was one of my favourite evenings of 2017. 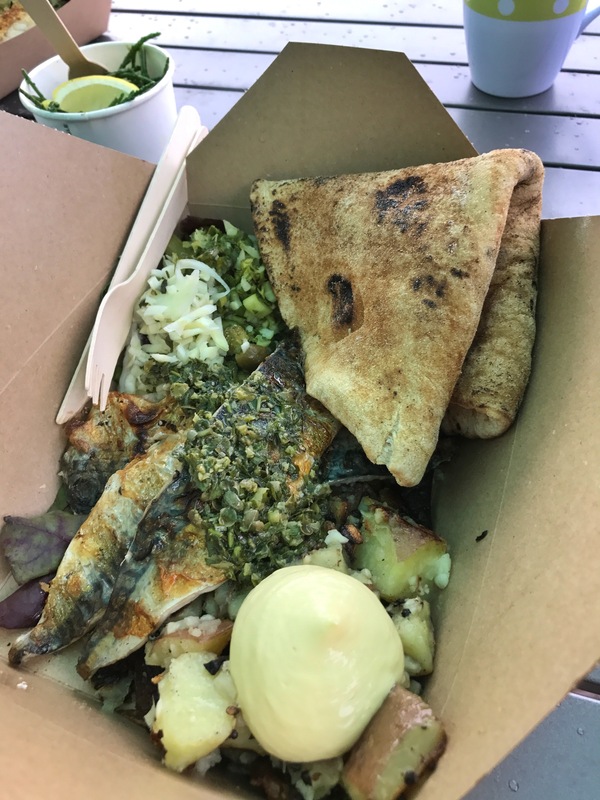 The mackerel cooked in the wood oven was delicious and the potatoes, oh my the potatoes were heavenly. I’m planning a repeat in 2018. We had a fantastic evening at the Chefs of Tomorrow event at Le Cochon Aveugle. It was great to hear from Dan Doherty about how it is championing young chefs and it was great to see an event outside London. 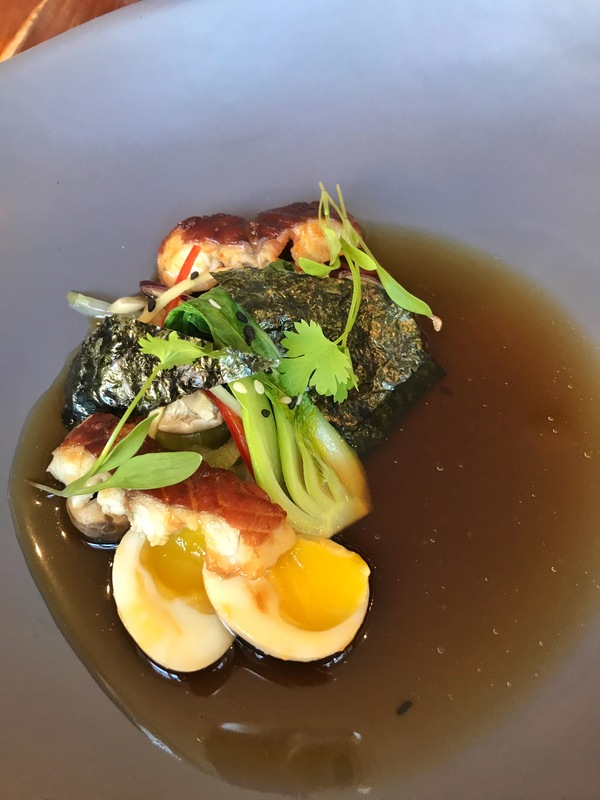 The smoked eel ramen dish by Luke Sanderson from Arras was incredible. I was thrilled that our friend Ben managed to get us all tickets to the Great British Menu evening at the House of Tides. 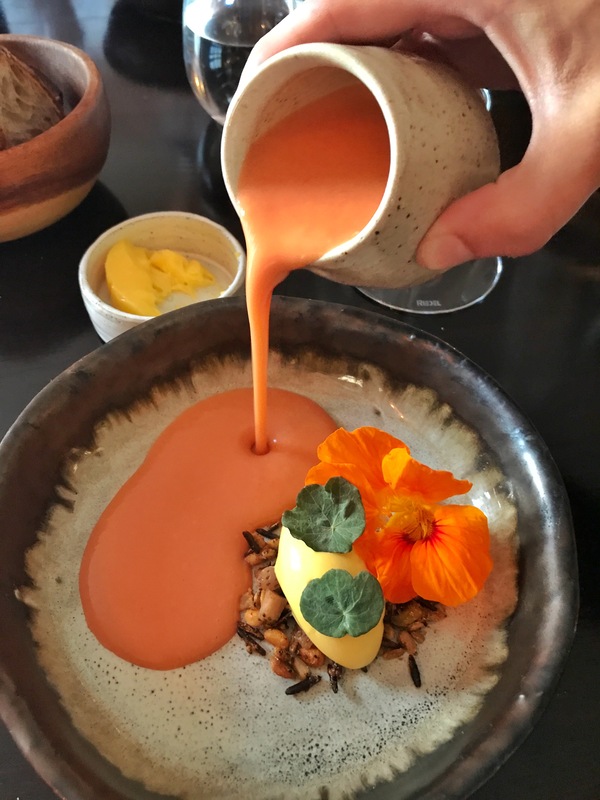 The balance of temperatures and textures in the strawberry and nasturtium dish by Josh Overington was remarkable. We finally made it to Xu on a recent trip to London. Marina O’Loughlin and Hungry Hoss were not wrong. 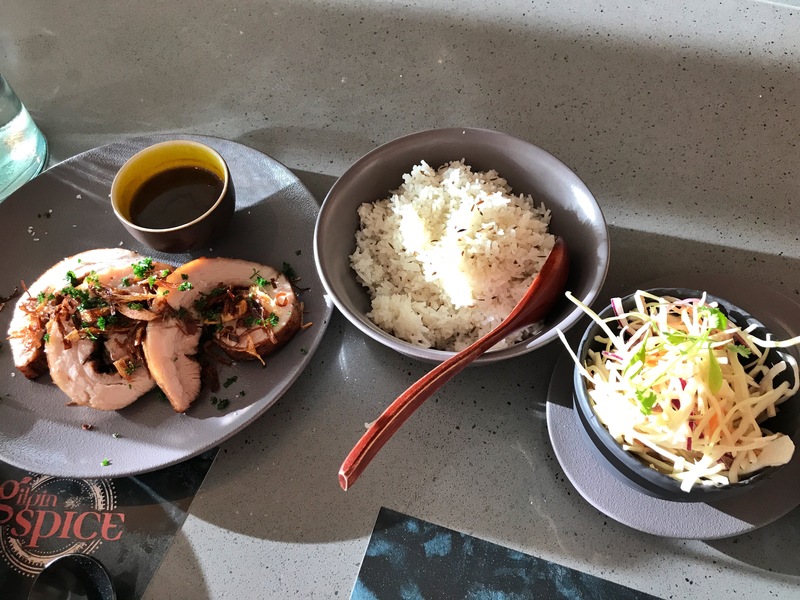 The Shou Pa chicken is sensational, absolutely sensational. Our last outing of the year was to Ox Belfast, somewhere I have wanted to go for some time. 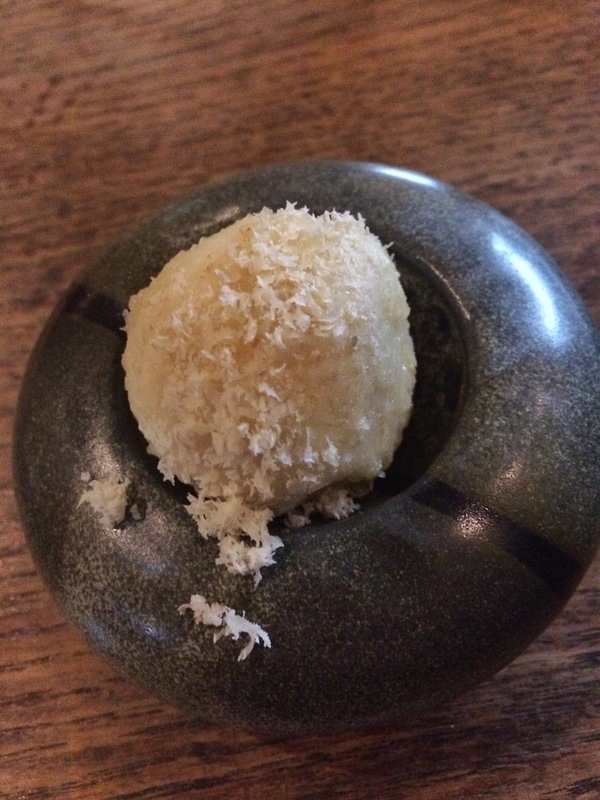 It was a favourite of the year and in particular a tiny bowl of celeriac, chestnut and thyme will stay with me for a long time. Simple perfection. 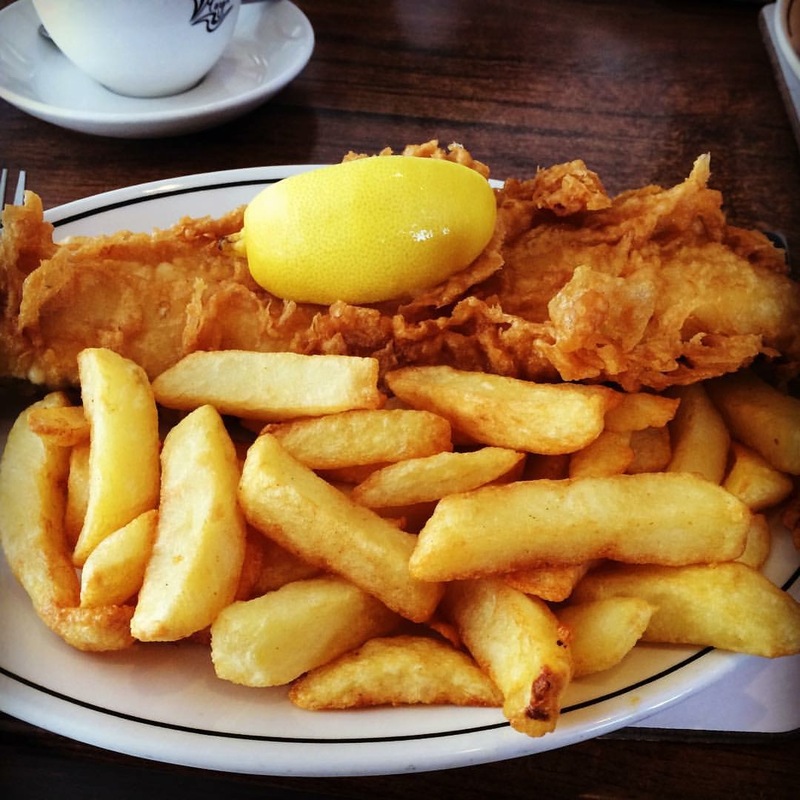 Fish and Chips at the Magpie Cafe in Whitby. Heaven. 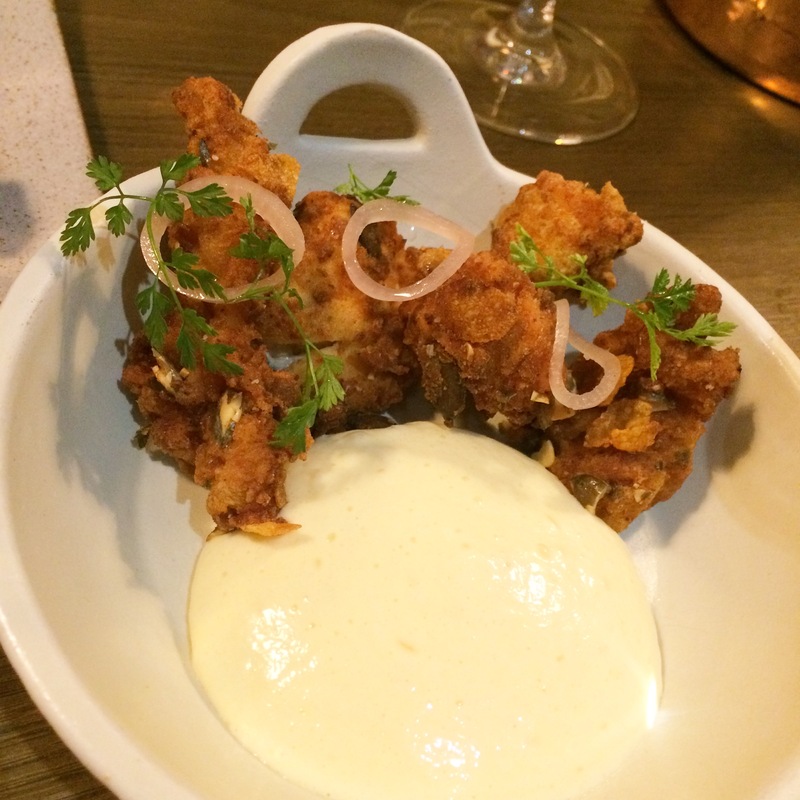 Skosh Fried chicken – it should be served in a big bucket. I’d eat a bucketful very happily. 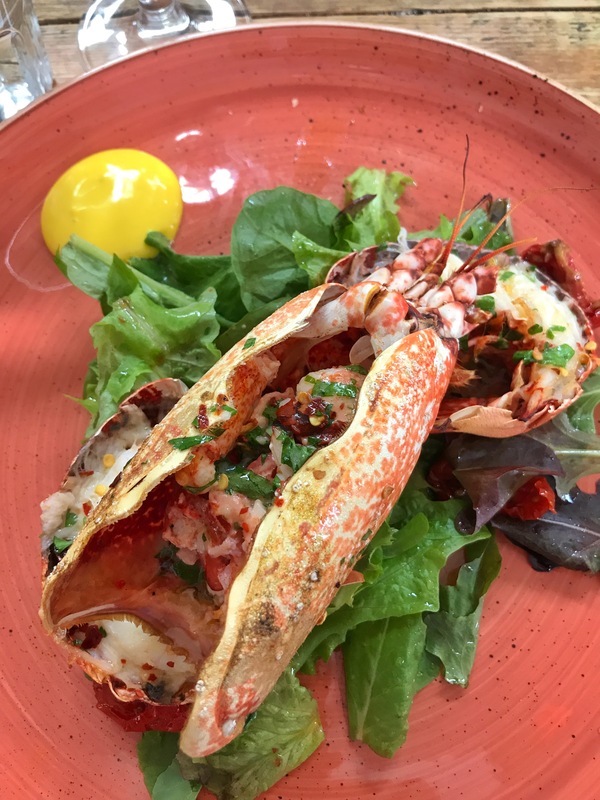 Lobster at Harry’s Shack. It’s the highlight of my summer. 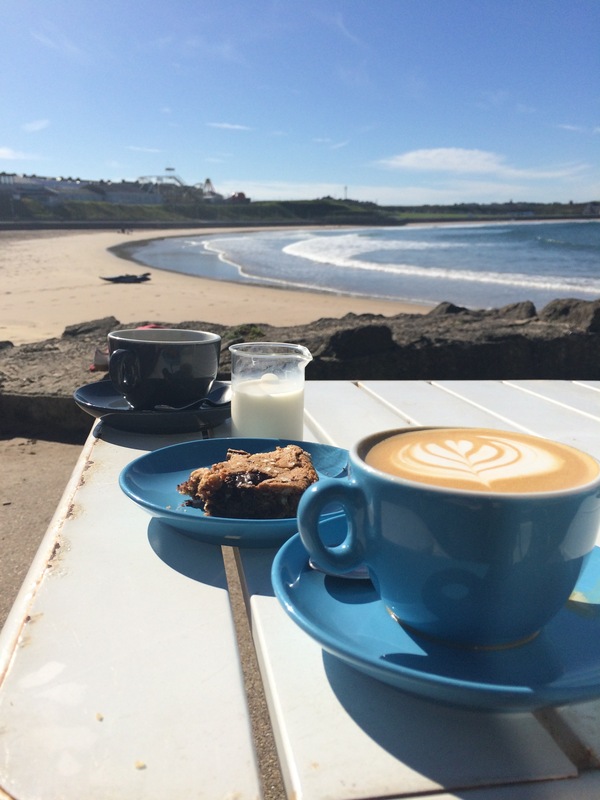 Coffee and breakfast at Babushka preferably sitting outside staring at the sea. Patisserie from Shutishuti but in particular Eszter’s custard tart. It is THE best. Crab stotties and a pint at The Ship Inn, Low Newton on Sea. 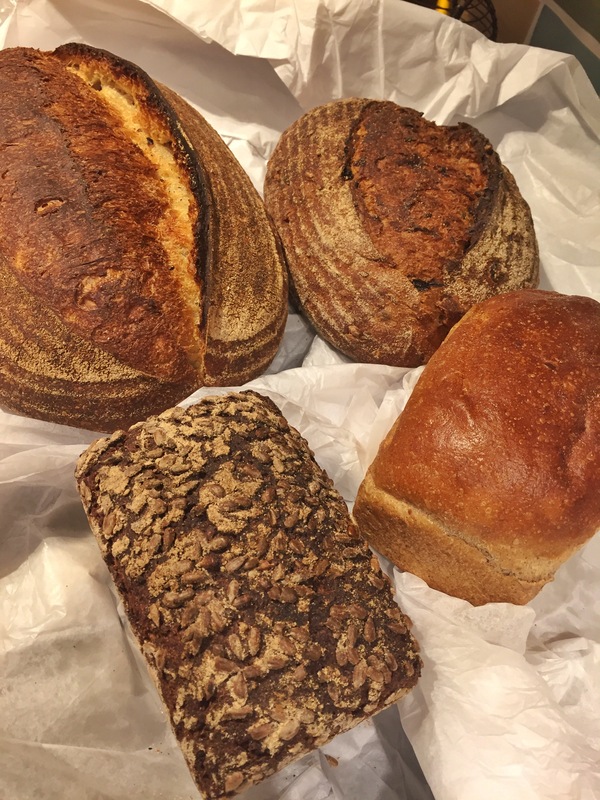 Haxby Baker bread, in particular Vänskapsbröd, Swedish friendship bread. 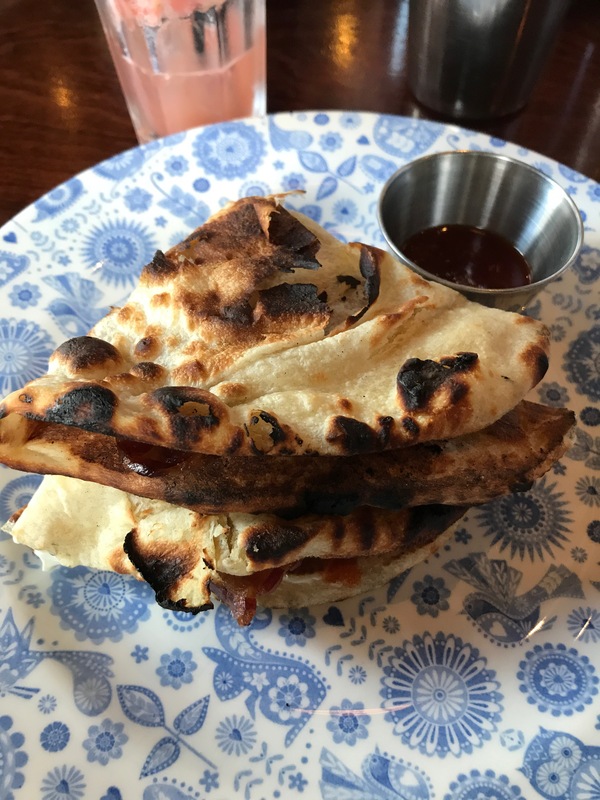 A Bacon naan roll from Dishoom. 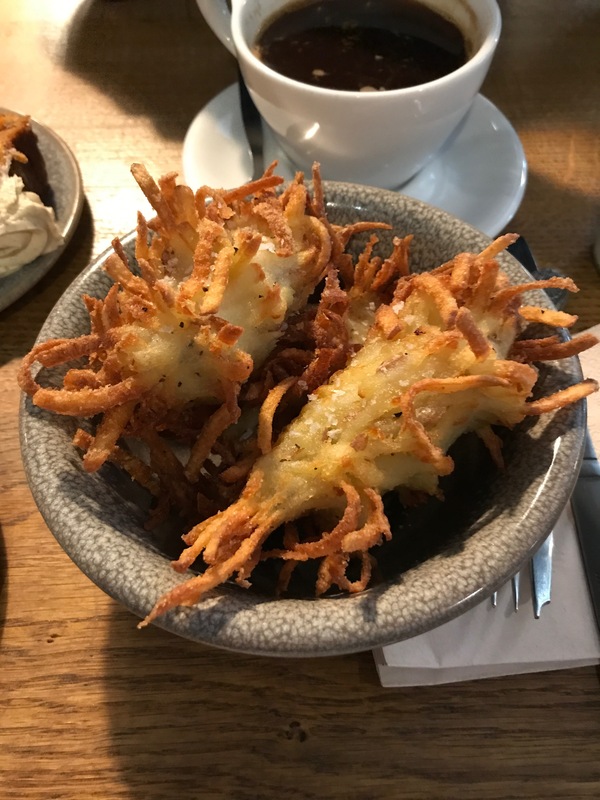 Hash browns from homeground cafe in Windermere. They should also come in a big bucket. 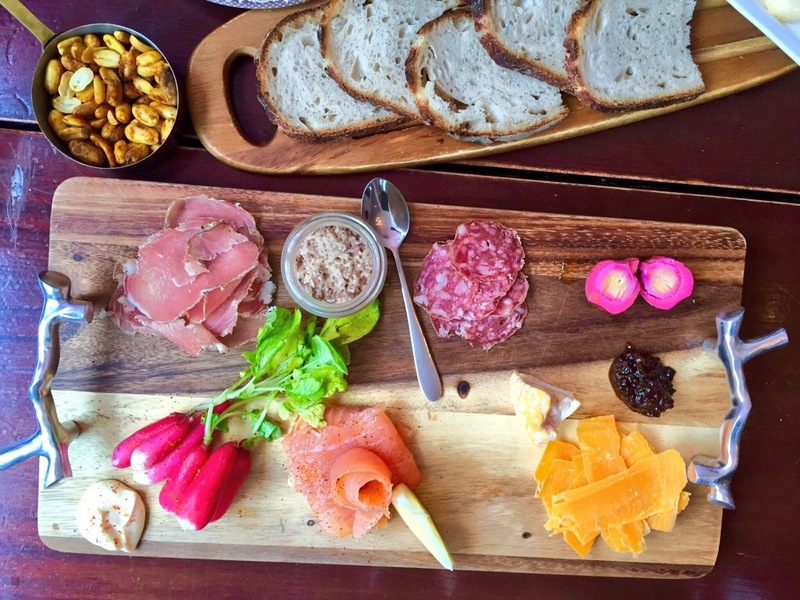 Wine and charcuterie at Cave du Cochon. It puts a smile on our faces. We love everything about it.